Islamabad - The government is working on bailout package of billion of rupees to cash-strapped Pakistan Steel Mills (PSM) in order to steer out the loss-making state entity from continuing financial constraints that failed to pay staff salaries and electricity bills. Sources said that government is working on bailout package for PSM, which is likely to be presented in the meeting of Economic Coordination Committee (ECC) of the Cabinet for approval before Eid-ul-Fitr. The bailout package would help the PSM administration to pay salaries of their staff and to pay to electricity bills. �The Ministry of Industries will move a summary to ECC for bailout package for PSM and the package can be around Rs 15-20 billion�, said an official of ministry of industries while talking to The Nation on Monday. Pakistan Steel Mills is facing severe financial constraints, as it failed to pay salaries to the approximately 16,000 staff apart from paying electricity bills that resulted in power disconnection. Chief Executive Officer (CEO), Pakistan Steel Mills Muhammad Javed has also resigned from his post after the broken state-owned industrial complex was denied a bailout package. Earlier, the interim government on May 8 has approved Rs 11 billion bailout package for Pakistan Steel Mills but later caretaker Prime Minister backed out after giving his approval, saying that the case should be placed before the next government. However, no fund have so far been released due to which PSM is not in a position to pay the salaries and even current bills of SSGC and KESC, who are threatening to cut off the gas/ electricity supplies in case payment is not made immediately. 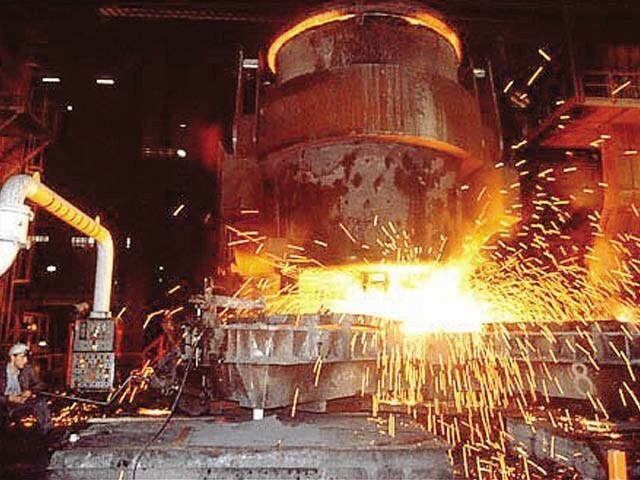 Sources said that government has decided in principle to privatise the Pakistan Steel Mills, as PSM is facing billion of rupees loss every year since 2008. The profitable public sector entity - Pakistan Steel Mills - in 2008 is now facing losses worth Rs 71 billion in 2013. The PSM faced financial loss of Rs 25.52 billion during the fiscal year 2008-09, Rs 11.56 billion in 2009-10, Rs 12.43 billion in 2010-11 and Rs 21.43 billion in 2011-12 Rs around Rs 30 billion in previous financial year 2012-13.